If you don’t know what Pokémon GO is you’ve been living under a rock for the past week. So, what is Pokémon GO? Pokémon GO is Nintendo’s latest installment, developed by Niantec. What’s different from other installments is this is Nintendo’s first venture into Augmented Reality. While the core of the game remains the same, “gotta catch ’em all!”, the key change is the fact that players must physically stand up and walk outside to move their player in the virtual world. The augmented reality aspect of the game means the game blends features of the real world such as an overlay of streets and geographical features (using your GPS signal) with the ability to use the camera on your phone to spot the Pokémon in the wild. Oh, and it’s free on iOS and Android devices. How Can Businesses Make Money with Pokémon GO? Let’s cut right to why you’re here: how does this make your business more money? Pokémon GO benefits from 6+ years of Niantec (formerly owned by Google) developing Ingress, the non-Pokémon predecessor to Pokémon GO. In Ingress, like in Pokémon GO, users were rewarded for using their mobile devices to navigate the physical world while Ingress tracked their every move. While virtually mapping the physical world, Ingress recognized naturally high traffic areas (shopping centers, schools, parks, landmarks, urban areas, etc.) and they became destinations in the game which awarded points to players each time they visited. When Pokémon GO was launched by Niantec, now owned by Nintendo, Ingress designated landmarks rolled into Pokémon GO and became what are known as PokéStops and Pokémon Gyms. When visited by players of Pokémon GO, these landmarks reward players with experience points (the equivalent of getting stronger in game), they allow players to restock supplies needed to capture more Pokémon, and when at a Gym, Pokémon players can challenge the Pokémon of other local trainers. These PokéStops and Gyms become highly valued, must visit destinations for all Pokémon players – the hundreds of millions of them. And since PokéStops and Gym locations were determined by high traffic areas in Ingress, this meant hundreds of thousands of businesses unknowingly became PokéStops and Pokémon Gym’s overnight. 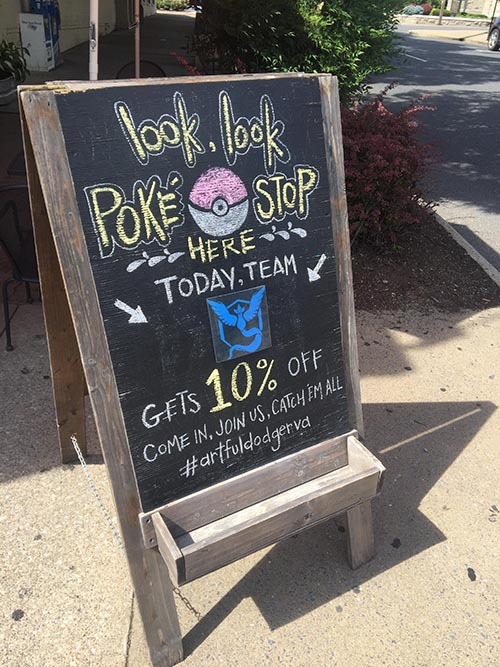 So, now that we all understand why there are hordes of Pokémon GO players walking PokéStop to PokéStop to restock supplies, we’re going to discuss how to attract these players to your business. When a Pokémon player is at a PokéStop, they have the option to use an in-game item called a lure module. Lure Modules last for 30 minutes, and work by attracting waves of Pokémon to the PokéStop for players to then capture. 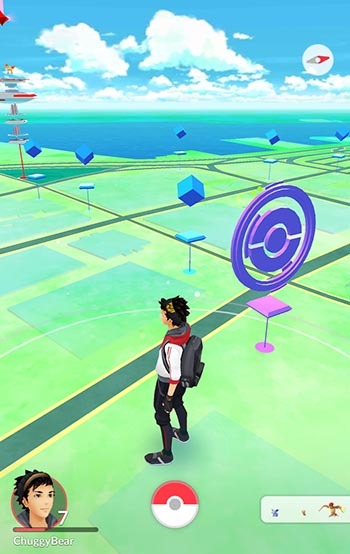 The catch here is that any player in the game, or a business posing as a player, can use a lure and it is effective to all Pokémon players at the PokéStop. Yes, lures used by a single person benefit every Pokémon player who physically enters the PokéStop radius. 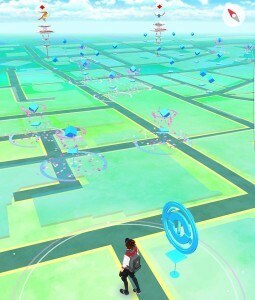 The net result of this is when local Pokémon players see on their in-game map that a Lure Module has been placed nearby, they respond by immediately traveling to the PokéStop. Since Lure Modules are purchased with real world currency they are in high demand. Businesses that have had the fortune of being designated as a PokéStop, or are very nearby to a PokéStop can purchase Lure Modules for a measly $0.99 – less if bought in a bundle. If I need to be any more clear on this: for $0.99 per thirty minutes, businesses can attract waves and waves of foot traffic to their location. There is success story after success story of businesses dropping lures and being blown away by the mobile device wielding Pokémon GO players that wander into their businesses. I believe it’s a common misnomer that Pokémon GO players are kids on BMX bikes cruising around town until the streetlights turn on. That’s just what the naysayers want you to think. Pokémon GO’s core demographic is the 24-35 year old male who grew up in the Pokémon ecosystem of games, accessories and peripherals. Add to the fact that there are more daily active users than Twitter after only five days and you can’t help but see where this is going. Pokémon GO players are more likely to be business and tech savvy adults with recreational spending habits than they are to be bothersome youth with nothing but change for Big Gulps and Twizzlers. What’s The Long Term ROI? I don’t understand. I don’t want to. It’s stupid. It still makes no sense. It’s all kids with no money. Well, it’s a mobile game and I sell pizza. I have no use for this. But guess what? A lot of businesses and marketing people didn’t understand Twitter either. It was stupid. Marketers collectively panned Snapchat as useless for driving business results. Facebook was only college kids in 2006. How’d that work out? Vine is just now getting called out as a failed platform with business owners saying, “told you so!” What about the tens of thousands of businesses and users who made millions (yes, millions) of dollars while it was alive and well? Here’s the deal, it doesn’t matter if you don’t get it. It doesn’t matter if it doesn’t make sense to you. You don’t need to get it. You and your business partners, your friends, the gurus you follow – none of them – no one gets to decide where the attention goes. Where the attention goes is where businesses need to go. If you, the bright business owner that you are, saw a press release tomorrow about a hot new app that was the #1 app in the app store, surpassed Twitter in daily users, had more engagement than Facebook, was free and could drive well qualified foot traffic to your business at very little cost – how could you possibly ignore that? You wouldn’t stop and ask what the ROI is. You wouldn’t stop and wait for other businesses to move on it. You wouldn’t run a cost-benefit analysis. You wouldn’t wait around for someone to explain it to you. Any intelligent business owner or marketing person with a pulse wouldn’t be able to get to that app fast enough. All that matters is where the eyeballs go. Where the eyeballs go is where your business needs to go. Even if Pokémon GO fails tomorrow, we’re talking about today. Right now the eyeballs are on Pokémon and you and your marketing dollars need to move right along with them.